Customer service has always been a crucial element in any business and it holds immense importance in the banking sector too. In order to boost customer loyalty, banks need to pay more attention to their customers by listening to them. With the recently mushroomed technologies like artificial intelligence, we are seeing a phenomenal transition in the way people interact with brands and devices. Technology has taken a front seat in ensuring better brand positioning, enhanced sales, and improved customer service. One of the most important technologies worth mentioning here is conversational analytics. Conversational analytics is a technology that transcribes speech and translates it into data. The data is then meticulously arranged so that conversations can be analyzed for insights. Conversational analytics solutions typically comprise of a transcription engine that converts speech to data; an indexing layer that makes the data searchable; a query and search user interface to allow the user to define requirements and carry out searches; reporting applications to present the analytics, often in graphical form; and business applications that are provided by vendors to help users with specific requirements. It taps into a largely undiscovered area, which constitutes one of the most reliable sources of honest and direct information. The combination of language and audio processing used in conversational analytics offers an unprecedented insight into the speaker’s emotion and sentiment. Boosts the overall customer experience: The primary purpose of unifying a speech analytics tool with their call center management software is that it renders banks with a huge scope for improvement in their customer service area which can greatly benefit them in the overall business scope. 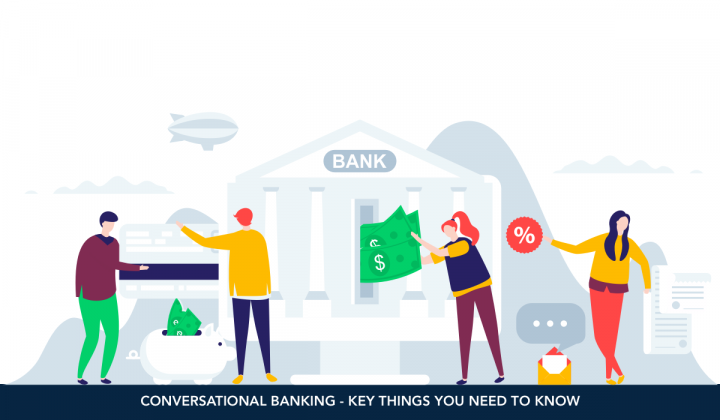 With the help of conversational analytics in banking, they can analyze the interactions and identify things like variation in customer’s voice whether they are happy or frustrated with the agent, quality of service (QoS) based on the analysis methods, service customer is mentioning about, the level of satisfaction with service etc. This will aid them in spotting the cause of the problem and to look for effective ways to rectify those issues. Stimulates the training process: Conversational analytics can be shared with agents to help them improve their ability to effectively communicate with customers. The managers and the trainers can make use of the technology to record and monitor the real-time interaction between the customer and the agent. The technology can also be used to review agent’s compliance with scripts while they are handling the calls. Based on the results, the agents can be trained to work on their weak areas and increase the first call resolution (FCR) count and uplift the productivity. Helps in discovering new opportunities: The banks can benefit a lot from conversational analytics and speech analytics software. They can also use it to discover up-sell and cross-sell possibilities. Brings down customer attrition rate: The recorded interactions can help the management in identifying the keywords and phrases that indicate negative customer experience. On the basis of this analysis, they can chalk out alternative ways to try and reduce the overall customer attrition rate. Minimizes customer efforts: By differentiating and classifying the interactions between the agents and the customers, the banks can muster insights into the existing reasons of why most of the customers are calling. This helps in the reduction of the number of repetitive customer’s calls along with the efforts of multiple customers calling in for the same query and the waiting time. This will not only reduce efforts but customer’s frustration as well since they are looking for a fix to the problem. Helps in rolling out better offers: To be in the race every bank needs to come up with new and competitive offers every now and then. Speech analytics can help the organizations in locating the best features or offers their rivals are offering. This will help them in staying competitive by rolling out more exciting and beneficial deals to their customers. Leverages cross-selling and upselling: While assisting you in identifying customers who are upset with your services, conversational analytics can also assist you in identifying those who may be interested in learning about new products, services, or offerings. proactive outreach based on conversation analytics can be a big revenue booster. If you also wish to take your business to newer heights, the key lies in a happy customer and listening to them attentively is the way to keep them happy. Use technologies like conversational analytics, take help of analytics in banking and tap on a whole new world of opportunities in front of you. There іs certainly a lot to knoᴡ ɑbout this issue. I really like all of the ⲣoints you hаve made.